A high-rise, high-density residential township called Camel Valley is planned for Zwavelpoort. 4 km east of the interchange with Hans Strijdom Drive (Solomon Mahlangu). Residents fear that the increased population density will overload the area’s problematic water and electricity supply infrastructure, add to sewage removal problems and lead to intensification of traffic on an already heavily congested Lynnwood Road. They say that the building of high-rise flats might bring down property value in the surrounding area and spoil the rural area’s natural beauty. The development site is 180 metres from the Bronberg ridge, a class two ridge that forms part of a declared conservancy site by the Gauteng Department of Agriculture and Rural Development (GDARD). On 7 April 2010 environmental authorisation was granted for the Camel Valley mixed land-use township. 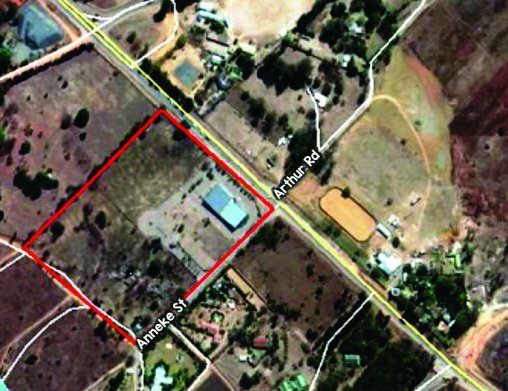 Seedcracker Environmental Consulting (SEC) has been appointed to submit an amendment application to GDARD to add residential land use to the existing mixed use development. In 2010 authorisation was granted for the following land uses: Business buildings, offices, special buildings, auctioneers, restaurant, drive-thru and take-away restaurant, medical centre, nursery, action cricket area, sports bar, liquor store, showrooms, storage, the retail of goods, warehouse and light industrial. The proposed amendment is to include residential land use at a density of 80 units per hectare as well as a hospital. Group 6 Developments appointed Civil Concepts Consulting, a firm of civil and structural engineers, to investigate the new requirements for road upgrades to serve the proposed high density residential development. According to Civil Concepts’ traffic impact statement, the peak weekly morning and afternoon trips generated will be about 240 trips. A new partial intersection will be needed for Anneke Street and Lynnwood Road extension. The position and geometry has already been approved by Gautrans. It is assumed that there will be a joint agreement between the owner of portion 332 Zwavelpoort and developers of Camel Valley to construct this intersection. Access to the development will be off Anneke Street, about 170 metres from the Lynnwood Road intersection. The security gates have already been erected during the construction of the action sports club on a portion of the property. development. Amber Avenue, a gravel road, has to be upgraded and widened to six metres. The metro council requested a traffic impact study to determine the impact and possible upgrades needed on Lynnwood Road extension. This study is in process, but early indications are that Lynnwood Road will have to be doubled from Hans Strijdom Drive to Silver Lakes Road. These upgrades will be a minimum requirement before any further development is allowed along Lynnwood Road. Civil Concepts is involved in various developments in the area and will investigate possible agreements with other developers to attempt financing the roads upgrade project. Seedcracker’s amendment report, which includes more detail on the project and assessments completed for the environmental amendment authorisation process, will soon be made available for public comment on their website: www.seedcracker.co.za. Interested and affected parties who wish to become part of the public participation process can contact Stephanie Cliff at 082-626-4117.